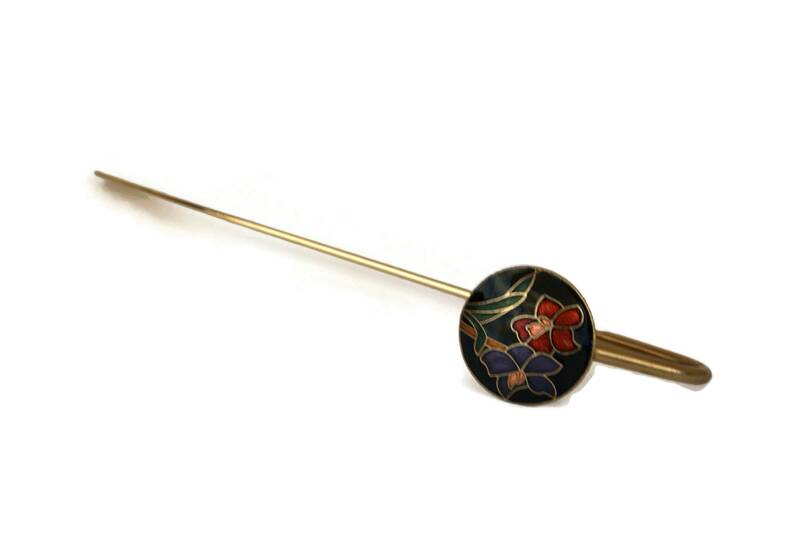 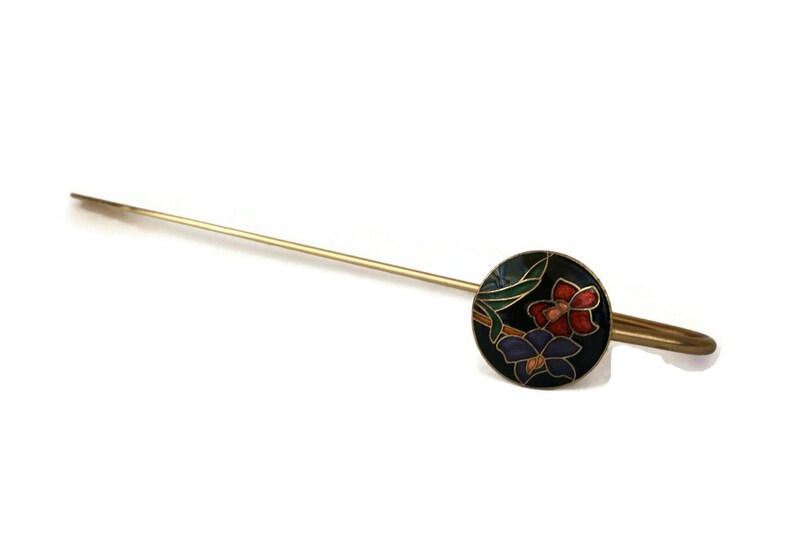 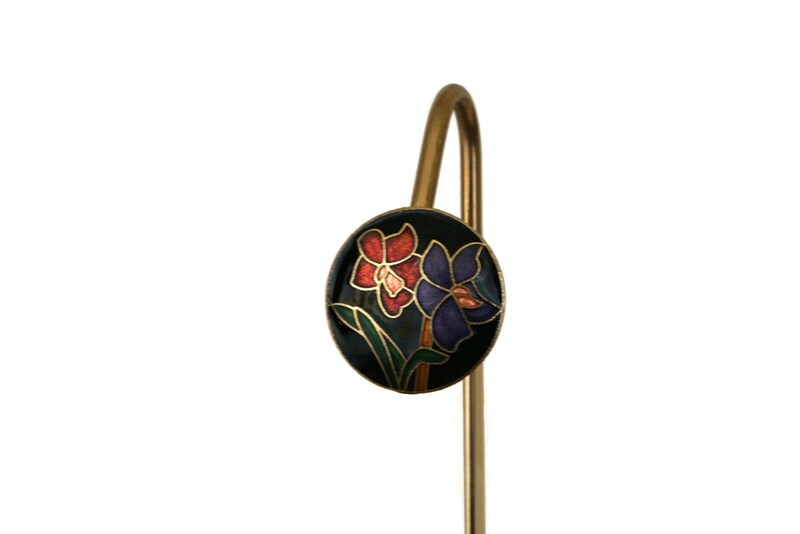 A charming vintage brass and cloisonne bookmark decorated with iris flowers. 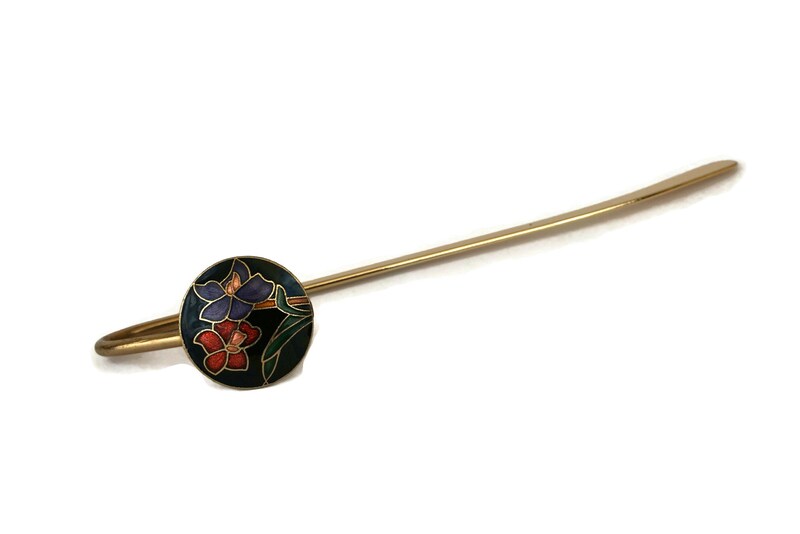 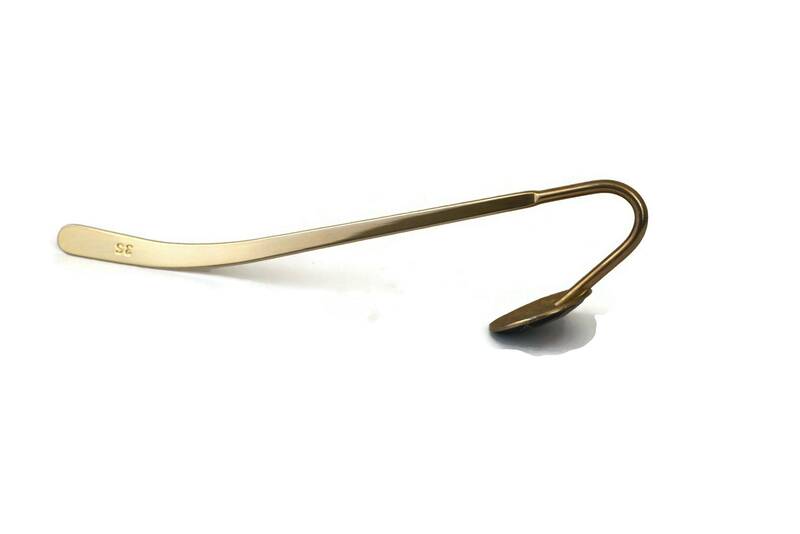 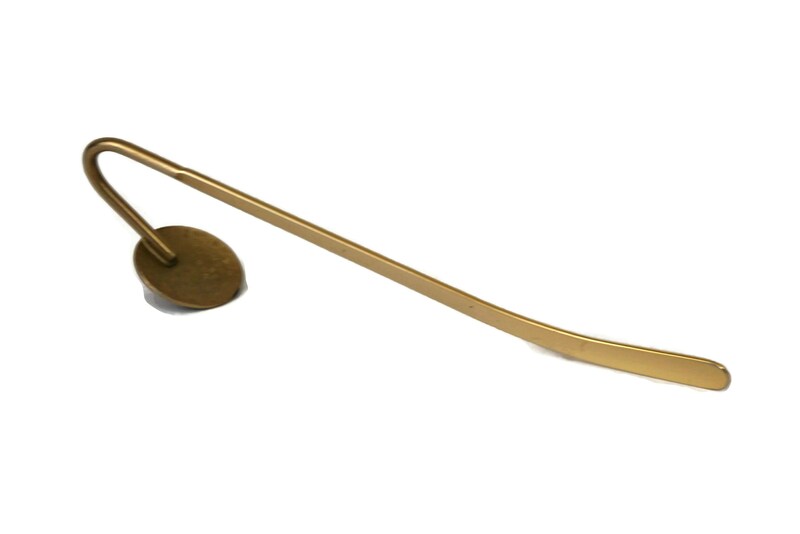 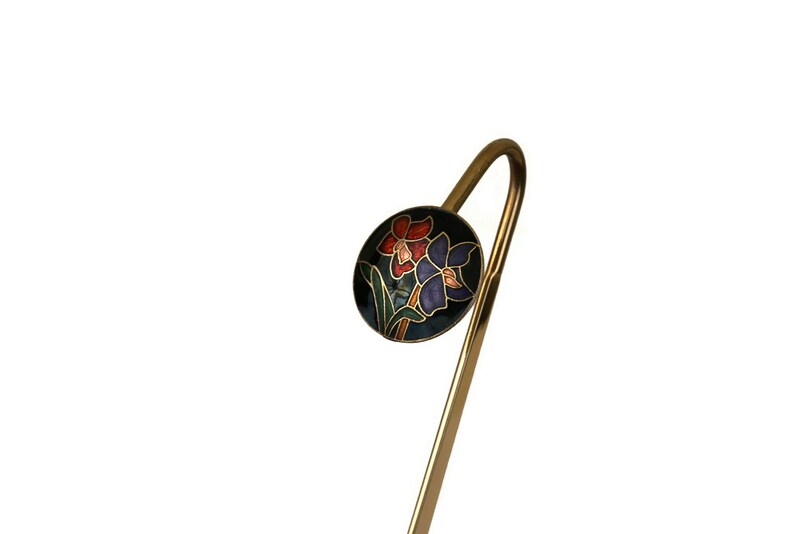 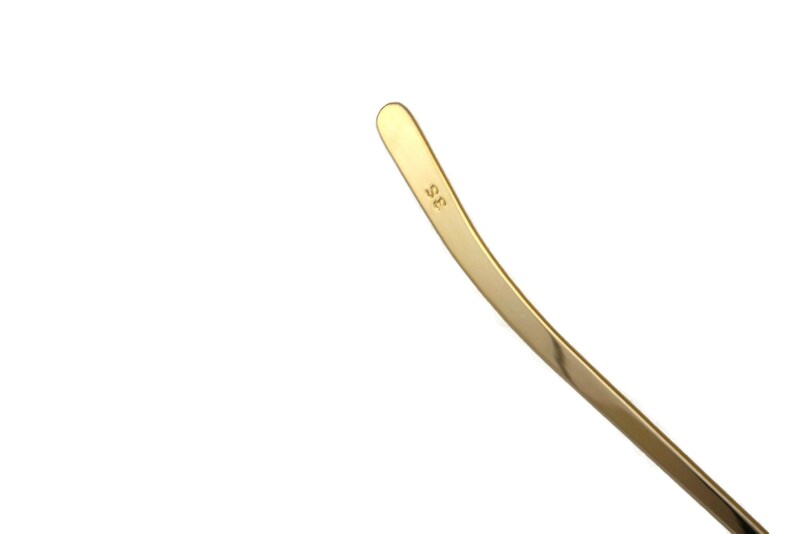 The metal bookmark features an elegant curved form and has been decorated with a large medallion with beautiful iris flowers in rich jewel tones of enamel. 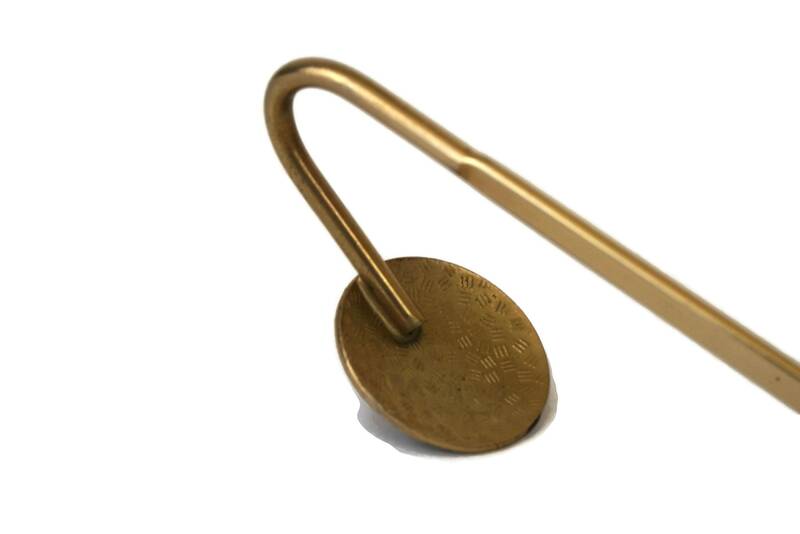 The medallion is 1" Wide (2,5 cm). 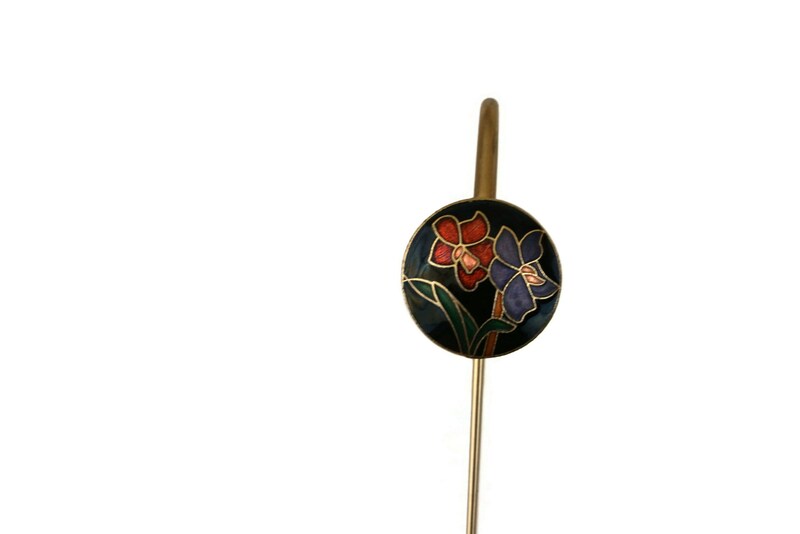 The cloisonne and brass bookmark is in very good condition with light signs of wear.